Many years ago Mike Ladle and four of his UK angling friends set out to determine the relative success of various methods of fishing in salt water and whether fishing with lures was as successful as fishing with bait. All of the anglers were skilled bait and lure fishermen. They designed an experiment to ensure that each fishing method was given an equal amount of angling effort and randomised the technique each angler was going to use on any given day to eliminate bias. “As is usual in books about fishing, we have presented quite a few accounts of angling trips without really trying to indicate whether the fishing described was poor, average or exceptionally good, even though we have included descriptions of the many hours put in for little or no returns. Because of these problems it was felt that a simple record of a few of our angling years might be of interest to others. How does one judge the quality of fishing? An addict of wreck fishing may consider a`good trip’ to be one on which he catches hundreds of pounds of fish. To achieve such high spots he will, no doubt, spend considerable sums of money on travel, charters and tackle. He is prepared to put in many hours steaming to and from marks for a brief hour or two of hectic sport. The wreck angler also has to contend with cancellations caused by adverse weather discomfort caused by seasickness and, no doubt at times, even he will meet with less than 100 per cent success. In complete contrast, the freshwater match fisherman is well satisfied with lesser catches of much smaller, more or less inedible fish. The occasional match-winning catch of perhaps 10-pounds will be a highlight. Again, he may drive many miles for his fishing, buy expensive tackle and buy or breed large quantities of bait and groundbait. He, also, must tolerate the vagaries of the weather in the form of storms and floods. The pleasures of angling manifest themselves in these and many other guises. Beach fishing tournaments in our area are often won with a few pounds of fish and there is frequently a high proportion of blanks. In fly fishing for reservoir trout, it is well known that a small proportion of anglers account for most of the catches. The specimen hunter is renowned for the persistence with which he or she will endeavour to catch large fish of a particular species. The salmon fisherman may even spend a season with little to show for it, in anticipation of one day making a bag of several fish or even catching the elusive 40-pounder.Who would be foolish enough to say that any one of these forms of angling (in most of which we have at times indulged) is `better’ than another? So how should one judge results? The weight of fish caught is not much use because the different species vary so much in size. What we needed in our experiment was some sort of measure of success in terms of catch and effort because, however beautiful the scenery, the ultimate satisfaction is that of a good bag of fish. Because this analysis includes quite a few different anglers the measure of effort used is the man hour. For example, a party of ten fishing for one hour on a wreck charter or one man spinning for ten hours from the beach would each represent ten man hours. Success is judged in two ways, firstly the total number of fish caught, which is an indication of the amount of ‘action’ in an hour and secondly the numbers of good fish caught. For present purposes `good’ fish are defined in our own terms, because, as we have seen, everyone has his (or her) own criterion according to their aims. Dinghy fishing – A 10-foot rowing dinghy within about one mile of the shore in Swanage Bay. Usually the methods used were simple one-hook running leger or paternoster tackles. Beach casting – Shores of mud, sand, gravel and rock. Twenty three different baits were evaluated over four years. Baits were float fished, both fixed and sliding. 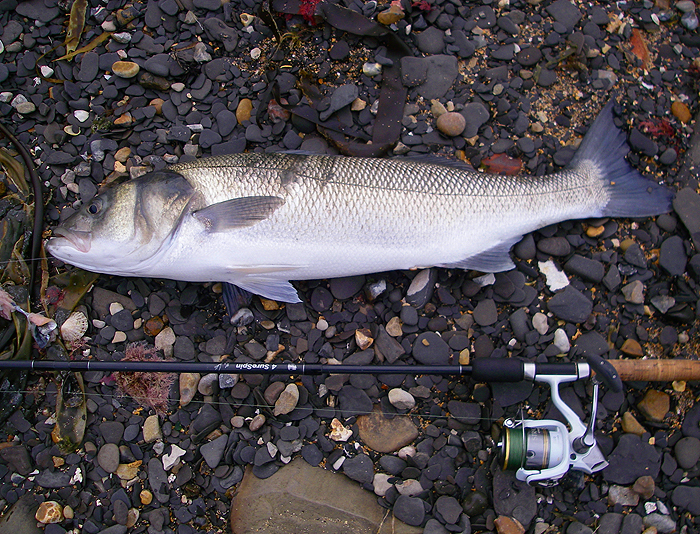 Spinning – Spinning from both dinghy and shore covered a wide range of lures which were either trolled, cast and retrieved or jigged as appropriate. Lures used were Pirks from 2-ounce to 3.5-ounces, Tobys, rubber eels of many types, bar spoons (Mepps and Mepps Mino), bar spoons with balsa wood bodies were constructed and used to fish over shallow weedy ground. Plugs with fixed or adjustable lips, single and two jointed, ranging from 1.5 to 12-inches in length, wooden and plastic Devon minnows. Fly fishing – Fly fishing with trout fly rods from the rocks. Flies and lures used were mackerel feathers, tube flies, streamer flies, wet trout and salmon flies, dry flies, polystyrene flies, rubber squids and blowfly maggots. Most of these baits are the same as those used by other anglers. A few were rather unusual (i.e. dace, lampreys and freshwater eels) but they were easily obtainable substitutes for small sea fish such as sand smelts and sandeels. Wooden Devons used for bottom-fishing were simply lowered on paternoster tackle and allowed to work in the current. The natural fish were moderately successful baits for bass. The plugs and Devon minnows caught cod, pollack and pouting when used from the dinghy. Over the four years considered, the number of man-hours fished in each year varied between 408 and 740 hours. As you can see from the above table the beach casting, bait fishing methods, produced a fish roughly every two man-hours. This figure is an underestimate because many of the small fish caught were not recorded in detail. It is interesting to notice that the time spent in catching a “good’ fish averaged out at 34 hours over the study. It did however decreased markedly over the four years even though the number of hours fished varied. Thus in the first year we put in 49 hours for each good fish and in the last only 13 hours. The improvement was due to our more critical approach to where and when we fished. A similar analysis can be presented for spinning / fly fishing methods. Over the same period the spinning and fly also produced a fish roughly every two man-hours. However, the most striking difference however lies in the number of hours per ‘good’ fish, which average only six as opposed to thirty-four. The absence of any consistent improvement in the effort needed to catch a `good’ fish is probably due to continually changing methods and the fact that an increasing proportion of time spent in fly fishing and the difficulty of equating a good mullet caught on fly with a good bass caught by spinning. Before we get carried away with these results it is worth remembering that, normally, all our spinning and fly fishing is done between the months of April and November. If comparisons are restricted to these months it still took three times as long to catch a good fish by bottom fishing as by spinning / fly fishing. The results for Dinghy fishing are better than those of either type of beach fishing whether we consider all fish or just `good’ fish. In fact, since many of the small fish caught for bait were not recorded the `action’ was often considerably more hectic than is suggested by the figures. Also we excluded mackerel from consideration because a single evening’s feathering could distort things considerably. Throughout the experiment we were always keen to try out new techniques or to adapt old ones if these will help us to catch more or better fish. There is never any lack of ideas but few of these succeed on the first attempt. If a promising method should fail we reason out why, change it accordingly, and try again. The bait used maybe acceptable but not normally available to the fish. Tethered baits are easily caught by the fish whereas the genuine free-living, article, maybe able to escape. 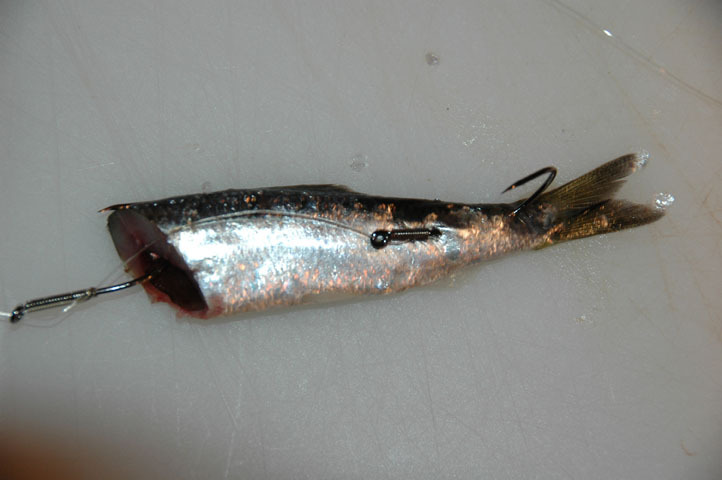 Lures may resemble injured fish. Everyone must have noticed how even placid aquarium fish will attack a crippled member of their community. It is probable that many more fish would be caught if more attention was paid to fish diets and bait presentation. In conclusion, in case the reader has not yet realised the full depth of our dedication to angling, in addition to sea fishing we spend annually about 100-200 man hours fishing for salmon (10-20 man-hours per fish) and trout. Also about 200 man-hours are devoted to coarse fishing. We could not, by any stretch of the imagination, be regarded as fair weather fishermen (sometimes it is quite the reverse). We have tried to fish Poole Harbour (the Arne Peninsula) for flounders, on a day so cold that 2-ounce leads would not penetrate the surface layer of ice. We have, foolishly, fished from the steep and jagged rocks of Worbarrow Tout in a force eight with huge seas breaking above our heads”. So there you have it. A comprehensive four year study of various methods of fishing which shows that beach casting with bait was not as successful in terms of ‘good’ fish caught as shore based spinning or fly fishing. These results show that once an angler switches from bait and gains competency using lures and fly tackle then it is reasonable to expect that they will lose little from the change. In New Zealand, many anglers fishing estuaries use ground bait to attract and concentrate fish and when this is done lures and flies can be extremely effective. The English anglers did not use this technique in their experiments, preferring instead to search the shore line and focus their attention where they knew the target species were concentrated. Hopefully these results encourage you to try lure and fly fishing in salt water, even if it is only in quiet periods when the fish do not seem to be eating your bait. As a fisherman of 50+ years and of just about every discipline I have concluded that the most effective bait regardless of it being ‘artificial or real’ is a ‘moving bait’. My extensive studies have been conducted in rivers,ponds,lakes,gravel pits,estuaries and the sea, from the shore and boats and from many different countries. Almost all fish ‘predate’ to a greater or lesser extent, few can resist a tempting offering twitching in front of them. The exception being in murky waters or low visibility where ‘scent’ becomes the No 1 attractant. A ‘real bait’ twitching/wriggling is far more likely to be taken than an inactive bait of any kind. In conclusion the best overall bait for most situations and species would tend to be a ‘livebait’. The best fishing area’s are ‘where the fish feed’. May seem simple but so many anglers fail to fully understand or appreciate the simple fact that you cant catch fish if there are no fish present. Although fish can be caught in any weather condition and at any time of day or night dawn and dusk remain ‘optimum’ times and a low pressure front often stimulates fish into feeding. Thanks for the feedback Jason and very well done. Top effort! 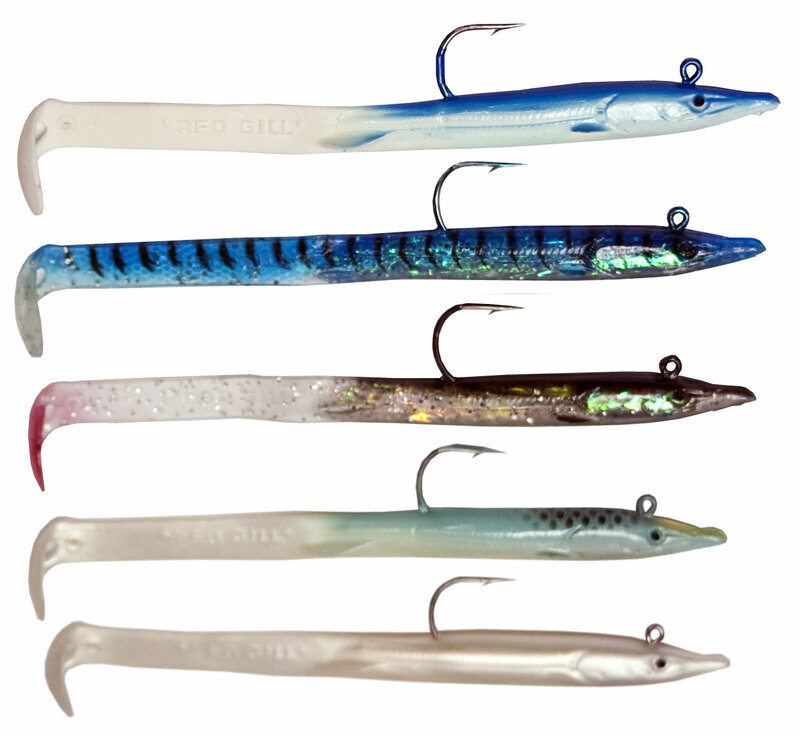 Next Next post: ARE SOFT BODIED LURES MORE EFFECTIVE THAN BAIT?